Are you disappointed in your AC unit? 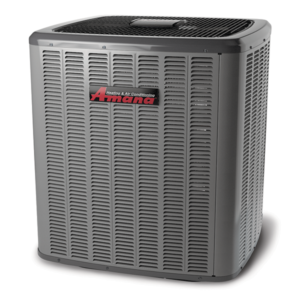 Do you need a quality contractor for AC repair in Avon, IN? HomePro Heating & Cooling is here! After a tough day at work, you find yourself looking forward to switching on that amazing air conditioning unit, and putting your feet up. However, there is a nasty surprise waiting for you. The darn thing is busted again! That is why you need a contractor that you can rely on for quality AC repair in Avon, IN, and the surrounding areas. At HomePro Heating & Cooling, we understand first hand how frustrating air conditioning repairs can get. Take a deep breath, we are here to help bring your AC back to life once and for all! HomePro Heating & Cooling is fully bonded and insured. Our technicians are NATE certified and receive continuous training. HomePro Heating & Cooling has an A rating with the Better Business Bureau for the quality of our services. The unit is failing to reach desired temperatures. You notice a collection of moisture near, or surrounding the vicinity of the indoor unit. For some reason, the unit is making strange noises that sound rather ominous such as a grinding. A strange smell starts to circulate your home. If you happen to notice any of these problems with your air conditioning unit, we recommend getting in a professional team to handle AC repair in Avon, IN, and the surrounding areas as soon as you can. Catching the problems before they have a chance to fully-develop will reduce the cost of repairs, and improve the overall longevity of your unit. If you are facing problems with your air conditioning unit, you do not need to face your troubles alone. All you need to do is get our professional technicians in your premises to find and resolve the problems. To do this, get in touch with our friendly support staff and schedule an appointment at a time that is convenient for you. You can reach out to the team by calling us at 317-271-2665. Otherwise, feel free to check out our Contact Us page for different ways to get in touch.